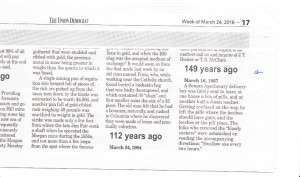 This article appeard in the 24 March 2016 issue of The Union Democrat, in the “Good Old Days” section by Bob Holton. 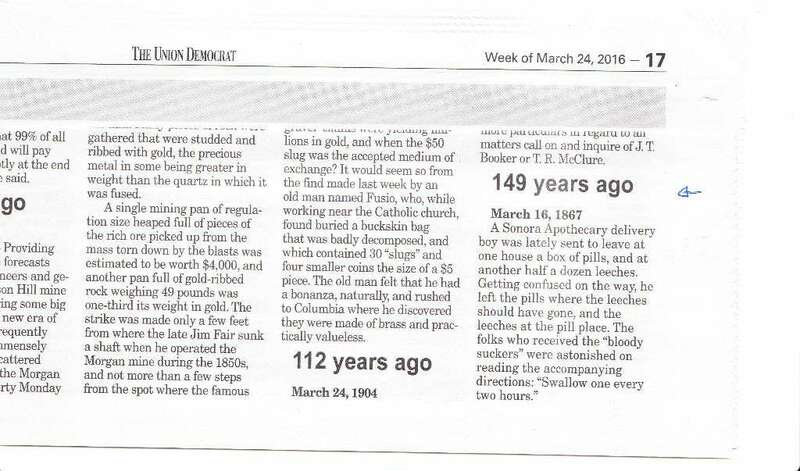 article from Union Democrat, 24 March 2016, in section “Good Old Days” by Bob Holton. It’s not a shame to have them; it’s a shame to keep them.